Lifestyle, diet and other external factors can affect the appearance of hair, skin and nails. The secret to healthy hair, skin and nails comes from within. Our formulation is suitable for Vegetarians and specifically designed to support the vital nutrients required as part of a balanced diet. Take one capsule daily with a glass of water (preferably with a meal). Do not exceed stated dose unless directed by a qualified healthcare professional. Biotin is a water-soluble vitamin that is part of the Vitamin B complex – a group of key nutrients needed for healthy digestive, nerve, metabolic and cardiovascular functions. Biotin deficiency can have an impact on the health and growth of nerves which possibly could result in hair loss, dermatitis or neurological symptoms. 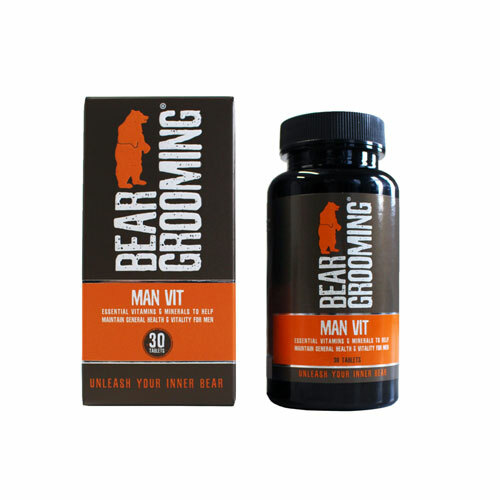 Man Vit has been created to support and maintain the all-round health and vitality for men of all ages. Contains key formulations of 10 different vitamins and 8 different minerals. Man Vit can help to reduce fatigue and support the Immune system, helping you cope with the demands of a fast-paced and hectic lifestyle. 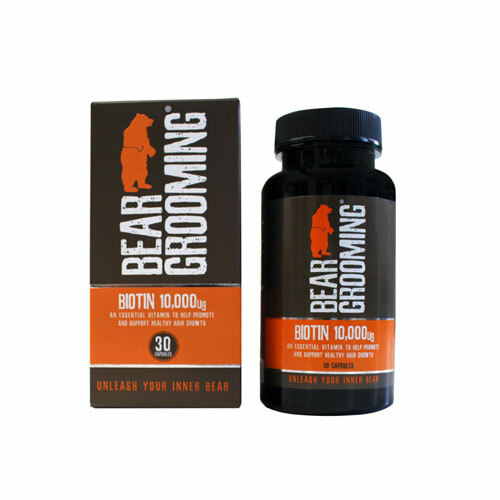 Bear Grooming Shave Gel provides a very smooth and comfortable shave without irritating your skin. Our enriched foam ensures a smooth razor glide to give you a precision shave with low residue. Made with natural ingredients, the shave gel will leave any facial hair feeling soft and your skin feeling in top condition.